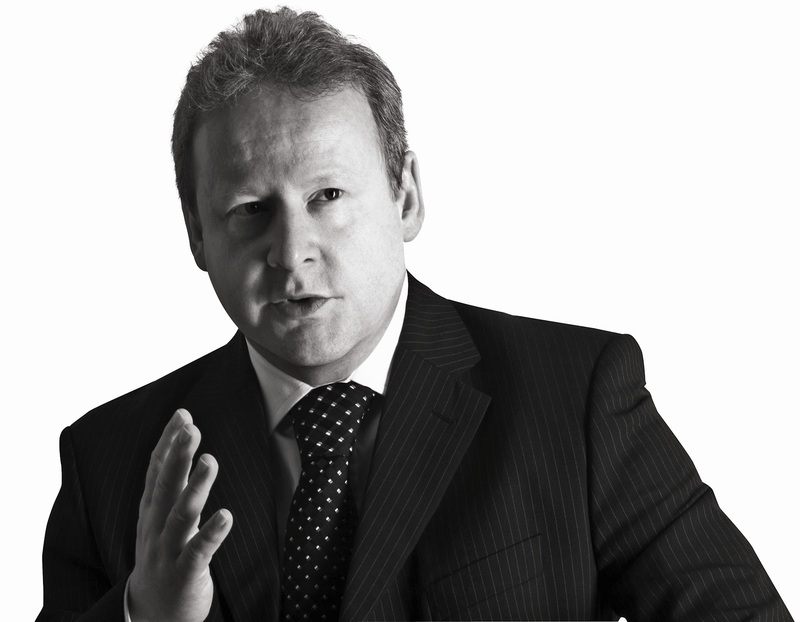 Neil is the Head of Sustainability & Engineering for Land Securities PLC. As chairman of the BCO's Technical Affairs Committee Neil has overseen the production of the latest edition of the Guide to Specification and Guide to Fit Out. He is the man behind IntelliBuild (Wednesday 21 November) and we find out more about the conference and what it will cover. Why have do you feel it’s important to have IntelliBuild, a half day conference on the subject of smart cities and intelligent buildings? It’s important to give people an insight into the benefits of intelligent building design and use of integrated networks in commercial developments. It’s an area that’s not that well understood but in my view is vital for the future sustainability of buildings. It’s the next big step forward! The use of intelligence in the process of design and management of buildings makes sure efficiencies are achieved so that property can deliver against the original aspirations for the end users. We’re seeing a significant increase in new materials that are coming through which we can use in the construction of buildings. The new materials will improve sustainability performance and operating efficiencies, reduce costs and ultimately create a better end product. A lot of research has gone into nano technology and self healing coatings. These technologies show great promise and I am sure they will soon be move into mainstream construction. The purpose of the BCO is to research what’s currently going on and provide advice to our membership on best practice so it’s really important that we understand the impact intelligent networks, intelligent design and innovative technologies will have in the office sector. This event will be looking at what’s going on in the laboratory and working out whether we can bring it into the real world. On a personal level, what are you looking forward to most at this event? We have a great line up of speakers who will bring their own personal experiences from a broad range of elements within intelligent buildings. We’ve deliberately set up the format of the conference to be interactive with the audience. I’m keen to see what questions come from the audience throughout the breakouts and Q&A elements. It will be great to learn what others are doing in this area. Are intelligent buildings all about new technology or is there more to it than that? Ultimately buildings are for the people and it’s important that the environment we create can respond to the needs of people and business requirements now and in the future. The more sophisticated the building, the more likely it will meet the changing needs of the occupier in the future. Intelligent building management systems are all about bringing the right information to the right people at the right time enabling the building to operate at its best at all times. There is a growing need to embed intelligence into all aspects of the wider built environment. Intelligent buildings are not all about technology they are about good design and meeting the needs of the building users. An intelligent building from a developers’ perspective is one that is fully let and profitable! What do you think is the most exciting prospect about a future where intelligent buildings are seen as the norm? It will be great to see a seamless integration of the building and the individuals that use it. Buildings will be able to recognise the individual and adapt to their needs in an easy and intuitive way. Being able to produce a building that is truly sustainable where waste, in the construction process, has been minimised and where the end product fulfils the needs of the ultimate users for an extended period of time without needing significant changes throughout its life. Are there any good examples of intelligent buildings now or have we still got a lot to learn? There are a growing number of examples in the office sector. In our own portfolio One New Change is probably the best example. We have a fully integrated network supporting all the main building control systems in both the retail and office elements of the scheme. And we have a number of other new developments where common network systems are currently being installed. The new developments proposed for the Greenwich Peninsula are adopting a “Smart City” approach to their adoption of new technology in the buildings. Office building have probably been a little slower to adopt the integrated network technology than other sectors such as retail, leisure, aviation and major sporting venues where there are many good examples of the application of converged networks that commercial office buildings can take inspiration from. In the Intelligent Building workshop at the Manchester Conference earlier this year, Keith Priest of Fletcher Priest architects showed an example of a building they are designing which uses a titanium oxide coating which will pull carbon dioxide out of the air to improve the local environment around the building. Where should we be looking at for best practice at present? We have some of the best examples of intelligent building design in the world in the UK. In terms of the use of integrated networks a lot of work has been done already in the retail, leisure and sports sectors but the office sector is catching up fast. Around the world the application of smart building technology is particularly advanced in the Far East and North America. Who, or what, most inspires you in the world of commercial property? What I really like about working in the industry is that nothing remains constant & everything changes so there’s always a new challenge. You’re always learning. There’s nothing better than being involved in a new building, I get great satisfaction once the building is there and you know you played a part in creating it. That’s what enthuses me to get out bed in the morning. What couldn't you live without in your daily routine? On Friday 26 October over 80 delegates joined the NextGen Committee in London to discuss the benefits of Building Information Modelling (BIM). As technology advances in every aspect of life at a rate of knots, we wanted to find out if this tool can really “aid” the design team and consultants or if it is just a fancy piece of technology that will have 15 minutes of fame? The impact that the adoption of BIM will have on the development and construction industry? How the office sector can reap the benefits? What the future will hold? Rob Charlton, described by Simon Rawlinson as a chameleon (architect by trade, BIM technologist by profession), is chief executive of _space group. As an organization _space group have been advocates of BIM for over 10 years and have pioneered its use in the UK. In Rob's words the driver behind BIM is that "it's not about the technology, it's all about the output and the flow of data from day one until the end". Marc Walker, UK BIM Development Manager at WSP, picked up on this thread using case studies of the Bulgari Hotel, London Bridge Place and London Bridge Station Redevelopment. These projects were able to demonstrate the benefits of BIM in a variety of areas from the early resolution of critical issues to running simulations and identifying inactive areas on site, thereby increasing efficiency. Like Rob, Marc agreed that BIM is not just about the technology & software. WSP consider BIM to be a socio-technological system – a way of working that involves people, processes and tools. Marc emphasised that software can only go as far as highlighting the issues. It will always take knowledge and skills to come up with the right solution. James Pellatt, Head of Projects at Great Portland Estates, continued to enforce the message that BIM doesn't magically work on its own, it needs creative input from everyone involved in the project. James called for the client to take the lead, after all if you are able to iron out problems at the start then there is great potential for less cost, less time, less risk and most of all less waste. It does sound a bit like I’ve been employed by the Government (who are mandating BIM level 2 by 2016 for the public sector) to create a piece of BIM propaganda. I haven’t, I promise, but for an industry so keen to reduce waste, save time and money surely this is the way forward. As Rob stated, it's not about the designers and engineers showing how clever they can be, and he doesn't blame people for thinking this way, in reality it's the move from BIM (Building Information Modelling) to BIM (Building Information Management) that will offer the real value. Overall the key message throughout the morning was collaboration, collaboration and more collaboration! BIM is here to stay and when used correctly there are genuine benefits to be gained in all elements of design, build and occupation. Still not convinced? Simon Rawlinson challenged our speakers to come up with an Elevator Pitch that could be used on the occasion “you bump into your CEO in the lift, & have 30 seconds to provide them with a business case for BIM”. So what happens next? Will everyone jump on board and how will the industry engage with the end user? The BCO is currently in the process of commissioning a new research project on BIM as James Wates’ Presidential Project. The report is due to set out the BCO’s view on this subject, provide guidance on best practice and identify the value of BIM to stakeholders across the membership. To keep up to date with news on this report, sign up to the BCO newsletter.